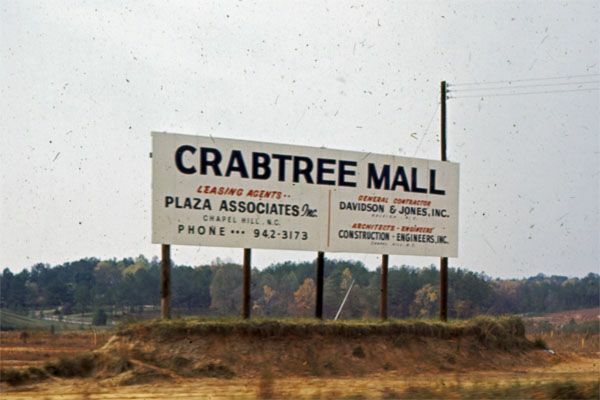 #TBT – A sign for Crabtree Valley Mall, 1968. The 57 acres tract of land belonging to Kidd Brewer was a mix of trees, cows, and horses before it was zoned for a shopping center. Planning for the mall’s development took more than ten years, and it cost $20 million to build. The mall on Glenwood Avenue in Raleigh opened on August 2, 1970. Happy Thursday!